On Thursday my wife abducted me to the Bavarian town of Bad Füssing. There, we've enjoyed the short and relaxing little stay I want to tell you about, today. First I want to apologize to those, who wanted some news about Project Gaia. Unfortunately we've done nothing for the project this week. Abe has unrelated work to take care of and I was on vacation. Sorryyyyyyyyyy! My wife Janina and I stayed in Bad Füssing for 2 nights. That's a little health resort near Passau on the border to Austria and Czechia. The whole place consists of Hotels, thermal baths and old people, which was perfect for us. Our own apartment directly faces a street with a bus station, visited by a bus every 5 minutes. So the silence was very refreshing for us. We stayed in a beautiful, open room at the 3 star spa hotel "Diana". Our stay was very pleasant. The room featured a balcony, a TV with Sky and the personnel was very friendly. We arrived on Thursday at about 6pm (we had to take care of other things that day first) and immediately asked for some food recommendations. One recommendation was a Greek place, we then went to, which unfortunately is closed on Thursdays. So we moved on to the next recommendation, the Indian restaurant "Taj Mahal". After we've slept late and finished up breakfast, we stayed at the "Europa Therme" thermal bath for 5 hours. It seemed, that the bath itself was primarily made for older people. There were a number of pools with seating, massage jets, a flow passage, gymnastics, steam room, salt sauna, lawn and whirlpools. The pool water was unfamiliarly warmed up (28 - 40 °C). It was rather for relaxing than for fun. I myself had wished for more opportunities to cool down (it's summer after all). After bathing we had a slice of cake and a coffee, back at the hotel. We spent the rest of the afternoon strolling through the parks and talking about this and that. A short round of mini golf, where Nina beat me, marked the beginning this days evening. Then we drove home, made grocery shopping, cleaned up a bit and watched "Indie Game The Movie" via Netflix. That was a very interesting documentation! 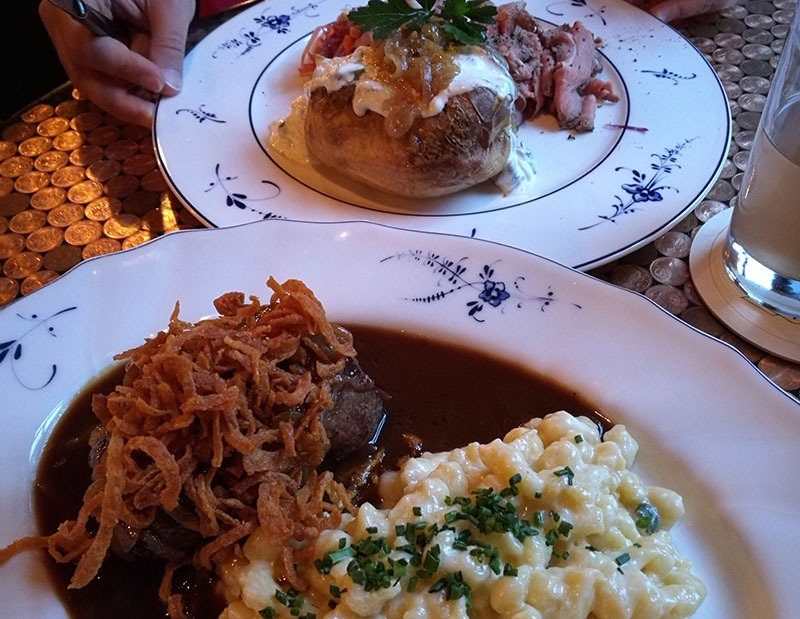 Last but not least, we went to the German place "Servus Heidi" here in Munich. Food and Service there was phenomenal! Okay, this concludes my little weekend report. I've got no special plans for the next 3 weeks, so I can spent all of my capacities for Project Gaia during those.